On the day before our wedding, one of my jobs was to pick Andrew and Dan up at the railroad station in White River Junction (the closest train station to us, one and a half hours away to the south). Of course I had my camera with me. I have always wanted some Amtrak photos. I had some Amtrak photos on our 2006 train ride to Washington, DC. But I left the camera on the train and lost the photos! So May 28 was my day to take more photos, with a better camera, of Amtrak trains. While waiting for Andrew's train to get in, I took these photos of old Engine 494. I have copied the text of the information below. When I was done, the train from Washington came in. And my camera battery died. So much for the Amtrak photos! 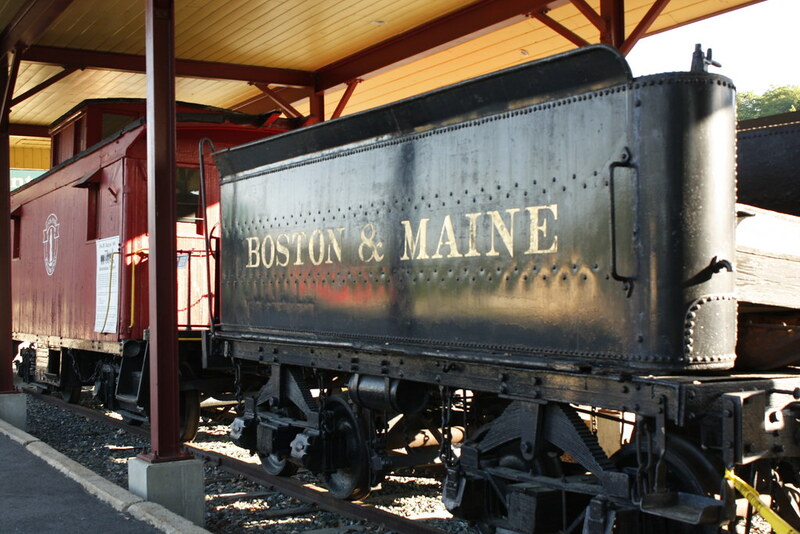 Boston & Maine Railroad No. 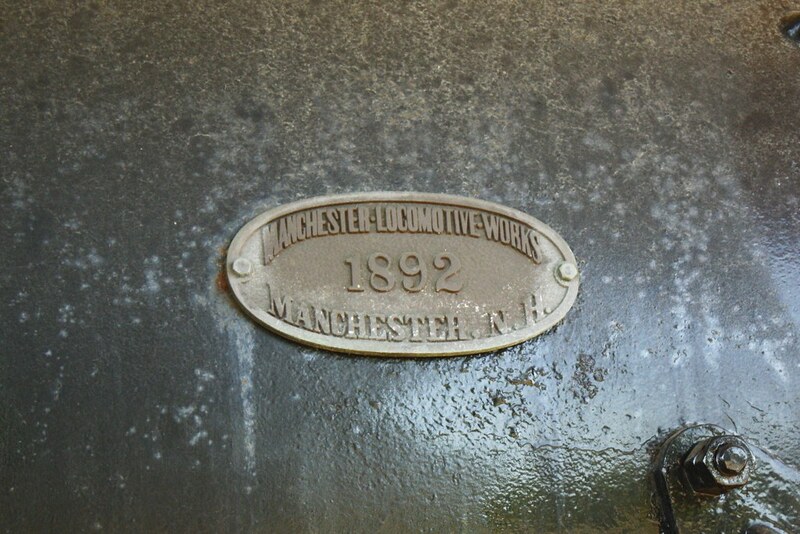 494 was built by the Manchester Locomotive Works in Manchester, New Hampshire in 1892 and served B&M hauling passenger cars and light freight. The engine was renumbered No. 905 in 1911. 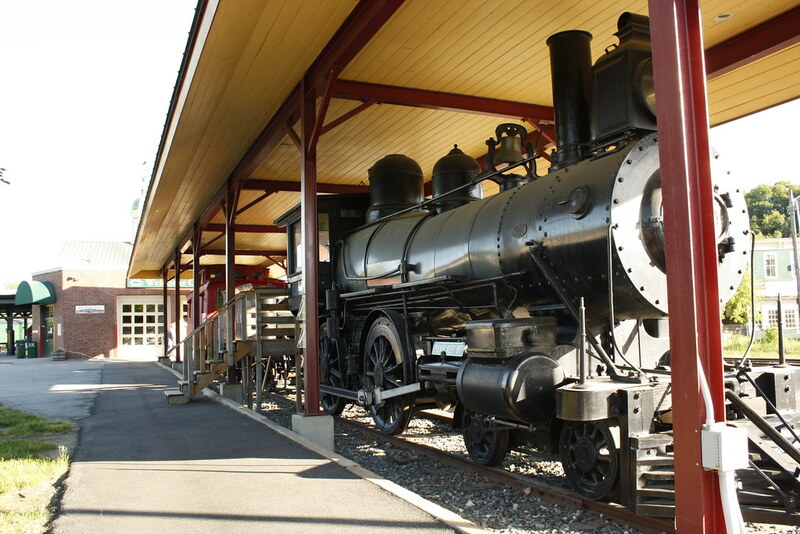 Near the end of its service, the 905 hauled coal for the Mount Washington Cog Railway and was retired in 1938. In 1939, the 905 was restored to No. 494 for display at the 1939 World's Fair. 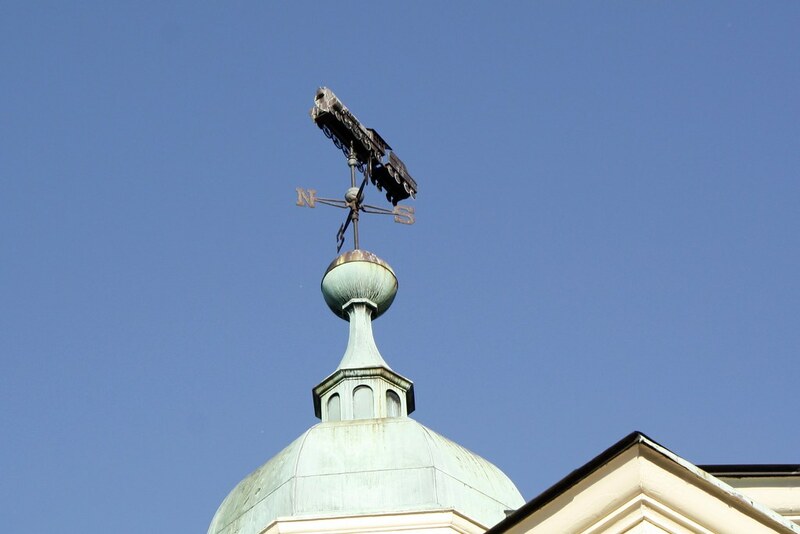 Donated to the Town of Hartford (VT) and dedicated on July 27, 1957. This equipment was placed in the National Register of Historic Places on November 13, 1995. 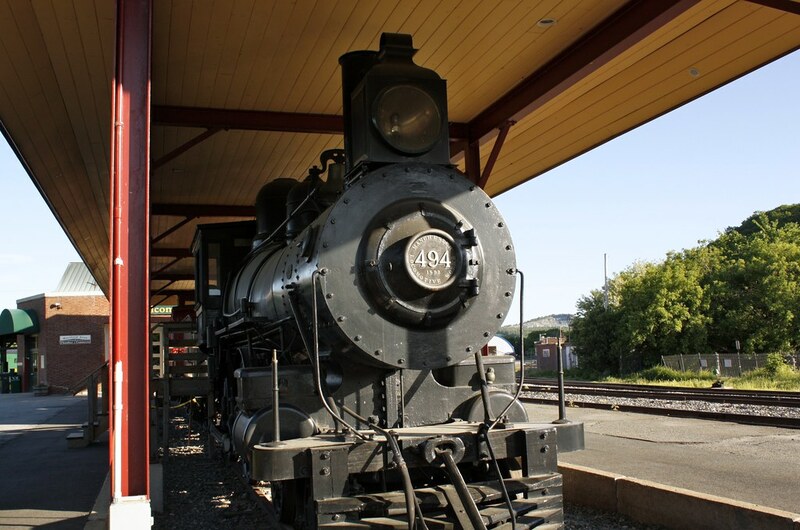 Major funding for the restoration project is made possible by a ISTEA Federal Grant, White River Junction Chapter of the National Railway Historical Society and volunteers contributing their time, energy and expertise. 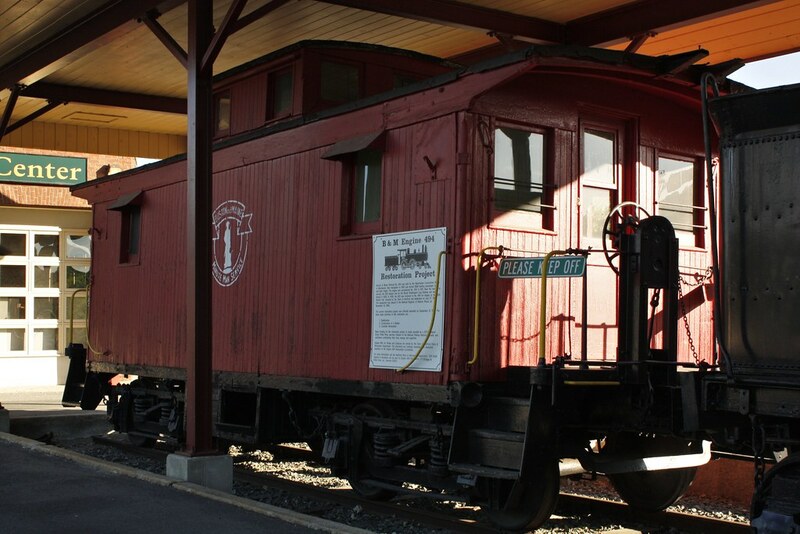 Engine 494, its Tender and Caboose are owned by the Town of Hartford Parks & Recreation Department. The structures are routinely maintained by dedicated members of the Engine 494 Restoration Committee. For more information call the Hartford Parks & Recreation Department, (802) 295-5036. Inquiries & donations can be sent to Engine 494 Restoration, 17 Bridge St, White River Jct., Vermont 05001. My husband and I would love to see this.